Today's Saturday Short is about a group of inmates in a Philippine jail, Cebu Provincial Detention and Rehabilitation Center, who are featured in dance sequences in the film Dance of the Steel Bars (Portfolio Films). Directed by Cesar Apolinaro, the movie, about an American wrongly accused of murder and jailed in the Philippines, is based on real events at the prison. It was released earlier this summer. On YouTube, the video has been viewed tens of millions of times. The official trailer for the film is here. ✦ The community-based project "Music is My Life" features the artwork of 129 youths, ages 15 to 25, who are experiencing homelessness. A show of the work just concluded at Henry Art Gallery at the University of Washington in Seattle. ✦ Taking advantage of public interest in Nazi-looted art, Switzerland's Federal Office of Culture has launched a Website aimed at researchers, claimants, and museums. Looted Art is available in German, French, and Italian; the English version is in progress. ✦ Indiana University Art Museum offers a number of online exhibitions worth browsing, including "From Pen to Printing Press: Ten Centuries of Islamic Book Arts". ✦ projectSCREEN at Oklahoma City Museum of Art is a bi-monthly series of "moving image art" by regional, national, and international contemporary artists. ✦ Today's video is a peek at the sculpture of Stephen De Staebler (1933-2011) and the 55 works, primarily in clay, that were on view last year in the retrospective "Matter + Spirit" at the de Young Museum in San Francisco, California. ✭ A mid-career retrospective of 239 fantastical paintings, drawings, prints, and book art by artist and best-selling writer Audrey Niffenegger is on view at the National Museum of Women in the Arts through November 10. 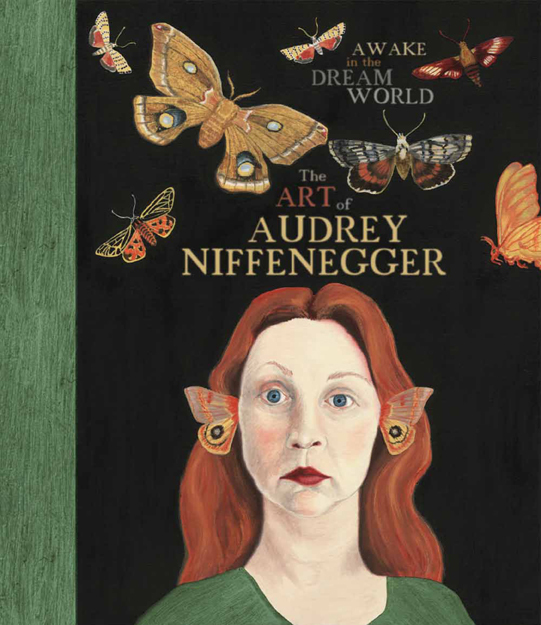 The exhibition, "Awake in the Dream World: The Art of Audrey Niffenegger", is organized around three themes: "Adventures in Bookland" (visual and graphic novels and artist's books), "States of Mind" (22 self-portraits), and "In Dreamland". A catalogue (powerHouse Books, May 2013) accompanies the exhibition. A show of new etchings by Niffenegger recently concluded at Printworks Gallery in Chicago. Wayne McGregor of the Royal Ballet has choreographed a dance inspired by Niffenegger's graphic novel Raven Girl. 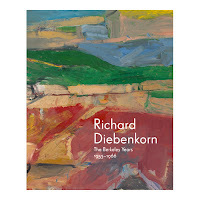 ✭ Continuing at the de Young Museum, San Francisco, is "Richard Diebenkorn: The Berkeley Years, 1953-1966". On view through September 29, the exhibition features more than 130 drawings and paintings, including not only Diebenkorn's early abstracts but also work from his later figurative period. A 256-page catalogue accompanies the show for which tickets are required. A companion exhibition, the retrospective "The Errand of the Eye", showcasing photographs by Rose Mandel, continues through October 13. Mandel, a Diebenkorn contemporary and colleague, studied under photographer Ansel Adams. ✭ An exhibition of the quilts of Ernest B. Haight — he made more than 300 between 1934 and 1986 — is on view in Lincoln, Nebraska, at the International Quilt Study Center & Museum. Continuing through March 2, 2014, "The Engineer Who Could: Ernest Haight's Half-Century of Quiltmaking" features quilts with Haight's trademark designs, including his large star medallions and "stained glass window" effects. Known for his complex geometric patterns and bold colors, Haight devised ways to speed piecing, which improved accuracy and consistency, and to machine-quilt, which reduced the time needed to make a quilt. Haight self-published Practical Machine-Quilting for the Homemaker in 1974. He was inducted into the Nebraska Quilters Hall of Fame in 1986. Haight's father Elmer learned to hand-quilt and made at least five quilts with his son. Exhibition-related events include a program on September 6 with quilt artist Joe Cunningham ("Men and the Art of Quiltmaking") and a public lecture next February, "The Importance of Being Ernest", with curator Jonathan Gregory. ✭ The work of visionary artist Paul Laffoley, who founded the Boston Visionary Cell in 1971*, is on view through September 15 at Henry Art Gallery, University of Washington, Seattle. The exhibition, "Paul Laffoley: Premonitions of the Bauharaoque", spans the artist's career and includes work from 1965 to the present. The term "Bauharoque", as Laffoley explains in his Artist Statement, "combine[s] the heroic modernism of the German "Bauhaus" with its aspiration toward a technological utopia, and the exalted theatricality of the Italian baroque, in which an exuberance of form and illusion serve to express the mystical union of art and life." Laffoley was a 2009 Guggenheim Fellow. * See Ken Johnson's New York Times article "Paul Laffoley: 'The Boston Visionary Cell'", January 17, 2013. ✭ Work of the German expressionists Kathe Kollwitz (1867-1945) and Ernst Barlach (1870-1938) is on view at The Museum of Religious Art, Lemvig, through September 15. The exhibition, "Beyond the Borders of Existence", marks the first time these artists have been shown together in Denmark and Norway. It's a gift and a skill. . . that was taught to me in a dream. In this short but fine video, Haitian artist Jean-Baptiste Jean Joseph, known for his exquisite vodou flags embellished with beautiful beads, sequins, and pearls, gives a tour of his workshop and explains the spirit world the flags represent. Fabulous Flags from HAND/EYE Video on Vimeo. My thanks to Mosaic Art Now for the link to the video. For a Fondation Cartier video about the artist, go here (the video is in French). Work by the artist, whose sense of color is refined, was shown in Fondation Cartier's 2012 exhibition "Histoires de Voir: Show & Tell" in Paris. Additional information about the artist is found in the article "Vodou Flags: Between the Terrestrial and the Spiritual". Artist, naturalist, writer, and lecturer James Prosek paints in the Gyotaku ("fish rubbing") style, a Japanese art form that traditionally uses carp, instead of a brush, as a tool to make nature prints. Prosek has mastered a variation that calls for the use of eels. Just watch what today's Wednesday Wonder produces. Watch James Prosek: Painting with Eels on PBS. See more from Nature. My thanks to the PBS NewsHour, where I first saw the profile, part of the PBS video series Nature. The film The Mystery of Eels, featuring Prosek, debuted this past April. Beginning in September, Prosek will be exhibiting in "James Prosek: The Spaces In Between" at Phillips Academy's Addison Gallery of American Art, Andover, Massachusetts. Currently, he is showing, through August 4, in "Domestic, Wild, Divine: Artists Look at Animals" at the Virginia Museum of Fine Arts, Richmond, Virginia. On August 19, 2013, the Arizona Commission on the Arts and the Office of the Governor announced the selection of Alberto Alvaro Rios as the state's inaugural Poet Laureate. Rios will serve for two years. With Rios's appointment, Arizona joins a list of more than 40 other states that have an official state poet. Arizona established its position with the enactment in 2012 of Senate Bill 1348. The law (Arizona Revised Statutes, Sections 41-987 and 41-988) provides for establishment of a nomination committee, comprising from four to seven members appointed by the state arts commission. Committee members, who are to be representative of the state's various regions, may include professional poets or writers, literary critics, professors and teachers in creative writing and literature, board members and directors of literary organizations, and members of the public. The commission is charged with creating a process to solicit applications and nominations, which may come from literary organizations, private and public schools, as well as college and university English departments, booksellers specializing in poetry, directors of poetry reading series, and the public, among others. The committee is responsible for sending the governor a ranked list of three nominees, each of whom has to have been a resident of Arizona for at least the two years preceding nomination, has to live in the state at least six months of the year, be "of stature recognized in the literary, cultural, education or academic communities", and have a "significant" and "high quality" body of published or documented work. A nominee also must be "willing and able" to travel around the state. On receipt of the list, the governor has 60 days to make a selection. The Poet Laureate's duties are specified in the law; they include offering at least four public readings annually and visiting at least once during the term of appointment each region of the state. On agreement with the commission, the state poet also is to undertake a "major" literary project that will reach out to Arizonans who might otherwise not be exposed to poetry. The Poet Laureate is free to pursue other projects the commission deems "beneficial". The law establishes a state Poet Laureate Fund, administered by the commission with "continuously appropriated" monies, which may be in the form of donations, gifts, and grants. The commission is to pay the Poet Laureate's costs and travel expenses. According to the official announcement of Rios's appointment, an honorarium of $2,500 annually will be provided. Each two-year term begins and ends on the third Monday in January of the corresponding year. An appointee may serve up to three terms. Arizona-born Alberto Alvaro Rios is the author of 10 books of poetry, three books of fiction (stories), and the memoir Capirotada: A Nogales Memoir (University of New Mexico Press, 1999), which was named One Book Arizona choice in 2009 and awarded a Latino Literary Hall of Fame Award. Rios's poetry collections include The Dangerous Shirt (Copper Canyon Press, 2009), The Theater of Night (Copper Canyon Press, 2007), a PEN/Beyond Margins Award winner (2007); The Smallest Muscle in the Human Body (Copper Canyon Press, 2002), a National Book Award finalist and a selection for Southwest Books of the Year; Teodoro Luna's Two Kisses (W.W. Norton, 1990, 1992), The Lime Orchard Woman (The Sheep Meadow Press, 1988), Five Indiscretions (The Sheep Meadow Press, 1985), and Whispering to Fool the Wind (The Sheep Meadow Press, 1982). 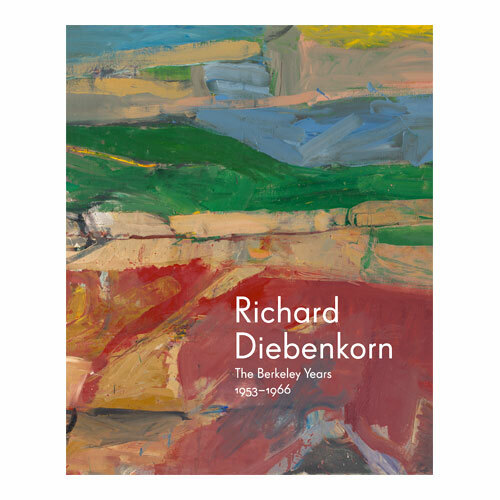 His chapbooks are Elk Heads on the Wall (1979), Sleeping on Fists (1981), and The Warrington Poems (Pyracantha/Arizona State University School of Art, 1989), a limited-edition of 23 poems and journal entires. An essayist and playwright, Rios has collaborated on a range of artistic projects (a librettist, Rios's work has been adapted to both dance and music, for example), was featured in the PBS documentary Birthwrite: Growing Up Hispanic (1989), and hosts the half-hour, locally produced Arizona PBS program "Books & Co." in which he interviews contemporary writers. Among the subjects and themes populating Rios's poems are family, ancestry, growing up, "border experience", ethnic and cultural heritage and identity, religion, violence, relationships, communication, aging, change, discovery and experience of the world through an understanding of what's possible, perception and reality, time, the familiar and the new, the natural world, the seen and unseen, need and want. The American Southwest figures prominently in Rios's work, as does memory. Critics cite Rios for his "accessible" writing style, use of magical realism and sophisticated metaphors and symbols, and for his ability to write from the perspective of child or adult, man or woman. He lends intimacy to his work by writing in the familiar first-person, a voice that can make his poems tender and lyrical. Here's one example of Rios's narrative style. Note how Rios creates both portrait and story using only the sparest of language and that image of kissing. Not so much with his lips as with his brows. Sometimes in photographs, and so through the years themselves. ~ "Teodoro Luna's Two Kisses"
A prolific writer, Rios has published in more than 300 literary journals and periodicals, including The American Poetry Review, Indiana Review, Ironwood, Narrative Magazine, Orion, Paris Review, Ploughshares, Poetry, Poetry Daily, New Letters, The New Yorker, The North American Review, Readers' Digest, Superstition Review, The Virginia Quarterly Review, and The Writer's Almanac. His work also has appeared in more than 250 anthologies, including The Norton Anthology of Modern Poetry (W.W. Norton, 1973, 2nd Edition) and Men of Our Time: An Anthology of Male Poetry in Contemporary America (University of Georgia Press, 2004). 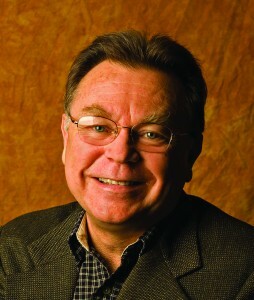 The Arizona State University Regents Professor, who also holds ASU's Katharine C. Turner Endowed Chair in English, is the recipient of a Walt Whitman Award in Poetry (1981), for Whispering to Fool the Wind; the Distinguished Achievement Award of the Western Literature Association (2002), an Arizona "Literary Treasure" award from the Arizona Humanities Council, and a Governor's Arts Award (1991). In addition, Rios has been awarded fellowships from Guggenheim Foundation (1988) and National Endowment for the Arts (1979; List of NEA Literature Fellows) and some half-dozen Pushcart Prizes in poetry and fiction (1986, 1988, 1989). He was presented with a Prairie Schooner Edward Stanley Award for Poetry in 1998. Rios's poem "A Man Then Suddenly Stops Moving" (from Five Indiscretions) won first place in a 1997 Academy of American Arts poetry contest; his poem "Arizona, The Sun, And What That's Like" was a 2008 "Best of the Net" Finalist in Poetry. Rios's fiction has won other prizes, including a Western States Book Award (for the 1984 The Iguana Killer: Twelve Stories of the Heart). Some unusual recognition has come Rios's way. During Arizona's Centennial celebrations in 2011-2012, James DeMars set text by Rios to music for chorus and piano; the commissioned piece is titled "Turquoise and Thunder". DeMars also composed a cantata for chorus, soloists and orchestra, "Tito's Say", using four of Rios's poems; the piece was performed in New York City's Carnegie Hall. Israeli folk singer David Broza included his contemporary settings of Rios's poems "Chileno Boys", "Hips to Hips", and "Away from Home" on his album Away from Home (EMI, 1989); go here to listen to the tracks. Rios was designated "Arizona HistoryMaker" in 2005 by the Arizona Historical League and received the honorific "Best Wordsmith" in 2009 from Phoenix NewTimes. One of the levels of The Poetry Garage in Chicago is named for Rios. His poem "The Museum Heart" is engraved on a wall in the lobby of the Scottsdale Museum of Contemporary Art; Rios wrote the poem to celebrate the museum's opening in 1999 (the museum's 2009 poetry series "Museum Heart" included Rios). In addition, his poem "Desert Water/Agua del Desierto" is part of a 2011 public art installation, Passage, at South Mountain Community Library in Phoenix (more about Passage here and here); in 2012, the installation won a Crescordia Award from the City of Phoenix. Note: A long list of Web resources for Rios may be found here. Some are cited below. See also Rios's "poems of public purpose", which include the Words Over Water project at Tempe Town Lake, a collaboration with Karla Elling and Harry Reese. 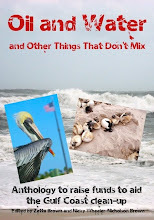 Poems from The Dangerous Shirt, The Theater of Night, and The Smallest Muscle in the Human Body can be found on the Copper Canyon Press pages for each of the books. Today's Saturday Short is a five-minute interview with expressive Scottish painter Peter Doig, whose work currently is the subject of "No Foreign Lands", an exhibition at National Galleries of Scotland through November 3. ✦ Master printmaker Zarina Hashmi explores through intaglio, woodblocks, lithography, and silkscreens the recurring themes of home, journeying, displacement, borders, and memory. The retrospective exhibition "Zarina: Paper Like Skin" was on view at the Guggenheim earlier this year. A video with the artist is on the site of the Hammer Museum, where the exhibition appeared last year. It is well worth watching. ✦ Photographer Madame Yevonde (1893-1975) reimagined society ladies of the 1920s as goddesses in her series Goddesses. In this British Council video, the curator of Yevonde's archive, Lawrence Hole, discusses the series. Yevonde's work is in the collection of London's National Portrait Gallery. ✦ A new permanent exhibition, "Records of Rights", opens this November at the National Archives, Washington, D.C. For more about the exhibition to open in the new David M. Rubentstein Gallery, see "Expansion at the National Archives Means More Focus on Human Rights". ✦ Commissioned by the Yerba Buena Center for the Arts for Bay Area Now 4, the five-minute Winter in America by Hank Willis Thomas and Kambui Olujimi uses stop-motion technique and G.I. Joe action figures to tell the true story of the murder of Songha Thomas Willis in 2000 in Philadelphia. The film explores issues of stereotypes, gender, race and class, consumerism, and the culture of violence in America. The animation does not blunt the shock of the killing. ✦ Below is an excerpt of the animated The End of Eating Everything, commissioned by Nasher Museum of Art at Duke University from Wangechi Mutu, who collaborated with recording artist Santigold. The film was part of the Nasher's exhibition "Wangechi Mutu: A Fantastic Journey", the first survey in the United States of the multidisciplinary artist's work, including drawing, sculpture, collage, installation, and video. The exhibition concluded last month and will travel to Brooklyn Museum of Art in September, Museum of Contemporary Art, North Miami, in April 2014, and Mary and Leigh Block Museum of Art at Northwestern University in September 2014. A catalogue is available. ✭ Mexican modernism is the subject of "Los Grandes del Arte Moderno Mexicano", continuing through June 1, 2014, at Madison Museum of Contemporary Art, Madison, Wisconsin. Featuring paintings, prints, and photographs, the show includes work by Jose Clemente Orozco, Frida Kahlo, Diego Rivera, Leopoldo Mendez, and Rufino Tamayo, among other artists. ✭ Arizona's Scottsdale Museum of Contemporary Art continues through September 1 "David Maisel/Black Maps: American Landscape and the Apocalyptic Sublime". Included in the exhibition of large-scale aerial photographs, which address environmental, land-use, and sustainability issues in the American West, are 28 pigment prints from four series created between 1989 and 2007: The Lake Project (see the video), The Mining Project and American Mine, Terminal Mirage, and Oblivion. Maisel's landscapes underscore the destructive physical and environmental effects of urban sprawl, open-pit mining, and water diversion projects. The photographs are strikingly haunting. 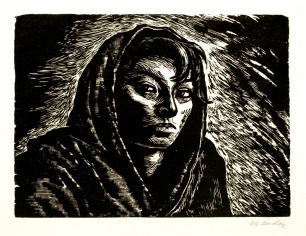 ✭ A show of contemporary prints by Texans continues at El Paso Art Museum through September 15. The work, including woodcuts, etchings, acquatints, lithographs, linocuts, serigraphs, and monoprints, is drawn from the museum's own collection. Among the artists whose work is on view are David Bates, Luis Jimenez, Donald Judd, and James Surls. ✭ Five commissioned works by international artists Arocha/Schraenen, Jill Downen, Inigo Manglano-Ovalle, Virginia Overton, and Dominique Petitgand go on view September 6 in "Place is the Space" at St. Louis's Contemporary Art Museum. The commissions are site-specific, designed to address the concepts of boundary, transparency, surface, intersection, scale, and the public as realized in CAM's own building, which was designed by Brad Cloepfil of Allied Works Architecture and is now 10 years old. ✭ Recent work by New York-based Iraqi artist Ahmed Alsoudani will go on view September 7 at Maine's Portland Museum of Art. The exhibition, "Ahmed Alsoudani: Redacted", which will continue through December 8, will include paintings and drawings on universal aspects of war and human suffering and survival. Born in Baghdad, Alsoudani was educated at Maine College of Art and Yale School of Art. Abstract Expressionist painter Peggy Gyulai is 2013 artist-in-residence with de Young Museum, San Francisco. During her residency, which she will complete September 1, Gyulai has been exploring music's role in and influence on paint's "expressive possibilities". Each week of her residency, titled "The Art of Painting Music: Allegro (ma non troppo)", is music-themed; while at de Young, Gyulai has been or will be listening to classical, jazz, and contemporary music — the works of Chopin, Debussy, Satie, Eric Whitacre, Bela Bartok, Elgar, John Adams, Bill Evans, and other composers — and painting her responses. Gyulai's lyrical paintings are stunning. In the video "Painter in Residence", Gyulai takes us behind the scenes as she talks about music as "the primary source" of her inspiration. Gyulai, whose work is found in scores of museum and private collections, studied painting and sculpture at the Pennsylvania Academy of the Fine Arts. She has collaborated with a number of symphony orchestras and discussed her artistic methods at many arts educator conferences. Gyulai's studio is in the Mission District of San Francisco. Read "Q&A with August Artist-in-Residence Peggy Gyulai", de Young Museum Blog, August 14, 2013. The old Masters: how well they understood. ~ from W. H. Auden's "Musee des Beaux Arts"
New York-based director Jem Cohen has a new film, Museum Hours, which I've put on my to-see list. The movie is the story of a relationship between Johann, a guard at Kunsthistorisches Art Museum, and Anne, a foreign visitor to Austria for whom the museum becomes a refuge and, ultimately, a meeting place for "an unexpected series of explorations" about life, the city of Vienna, and art's reflection of and influence on daily experience. is an answer, I'll grant you. a burst, a laugh. You might. of the imagination, the power of the brain. In a fascinating collaboration to help lay audiences understand how the brain works neurochemically, comics artist Matteo Farinella worked with neuroscientist Hana Ros of University College London to produce Neurocomic, a graphic novel. They share in the 14:04-minute video below the challenges of creating drawings and text that are not only entertaining storytelling but also educational and scientifically correct. "It's been really difficult to know when we should go for more story and when we should go for more science. That's a compromise that we've had to make, because you just can't get all the science in that you want," says Ros; "so, we kind of have to think what's going to be more useful. . . the story, because that's the primary aim." Neurocomic will be released in the United Kingdom this September with a documentary about the collaboration. It is available for pre-order on Amazon. My thanks to The Guardian, where I first learned of this project. This video also can be seen on YouTube. Be sure to click over to Farinella's site to learn more about his other projects. to all that waits within. Today's Saturday Short is the trailer for the documentary The Spirit Level. Produced and directed by Katherine Round, the film, based on the award-winning book by Richard Wilkinson and Kate Pickett, looks at how the gap between rich and poor influences government policies, social attitudes, sense of identity, health and lifespan, basic values, and change that benefits all societies. ✦ Contemporary painter and sculptor Andrew Myers has made a name for himself with his labor-intensive "screw pieces", which typically consist of many, many thousands of individually painted screws inserted into hand-drilled holes. The portraits he creates with his medium are stunningly expressive, playing up contrasts between light and shadow, motion and stasis, softness and hardness, smoothness and sharp angles. You'll find a number of images of his wonderful works on his Website. Myers is represented by Lawrence Cantor Fine Art, Venice, California. See the gallery's profile for more information about Myers's technique and additional images of the artist's work. ✦ Attention Washington, D.C., area artists: Capitol Arts Network is providing opportunities for emerging, mid-career, and established artists to showcase their work at CAN's wonderful light-filled art center in Rockville, in Montgomery County, Maryland. Via Call for the Halls, participants are allowed to hang up to three artworks for a period of two months, which include the two First Friday gallery openings that CAN hosts in the facility it shares with Washington School of Photography. Areas available to hang artworks are awarded first-come first-served. Submission information is available at Call for the Halls. CAN and WSP also sponsors a series of classes and workshops that have been drawing great word-of-mouth. If you teach and want to offer a workshop at CAN, contact Judith HeartSong. ✦ Downloable monthly Art Lessons are yours for just $1.99. My friend Seth Apter is the author of Volume 6 on dimensional stenciling. Other editions cover painting with pastels, landscape painting, use of mulberry paper, collage, and paint over collage. ✦ Folk and fairy tales provide the inspiration for British book sculptor and paper artist Justin Rowe's extraordinary creations. The artist, who says he's "willing to give any idea a try", accepts commissions and has created holiday window displays for Cambridge University Press Bookshop (his 2011 display featured Twelve Days of Christmas and his 2012 display, Midwinter Bookscape, included skaters, a lighthouse, and a papercraft version of the Mathematical Bridge in Cambridge). This past May a selection of Rowe's sculptures were exhibited in London during British Academy Literature Week. ✦ Today's video spotlights British artist Marc Quinn's huge bronze seashells, part of "All the Time in the World" Archaeology of Art series. The four sculptures, each weighing two tons, were on view earlier this summer at Mary Boone Gallery, New York City. To make the pieces. Quinn scanned real shells with a digital 3D scanner and converted the code into a digital 3D map outputted to a 3D printer, which then produced exact scaled models that could be cast in bronze. Fifty sculptures, paintings, and other objects by Quinn, as well as 15 new works by the artist, are on view through September 29 at Fondazione Giorgio Cini in Venice, Italy. It's my pleasure to announce that I am now an editor of Artist Watch for the online arts and literature magazine Escape Into Life. My first post, showcasing the painter Trine Bumiller, went live yesterday. Please be sure to look for my features on the third Thursday of every month. ✭ Pasadena Museum of California Art is presenting a survey of work, drawn from public and private California collections, by the justly acclaimed and influential artist Sam Francis (1923-1994) through January 5, 2013. 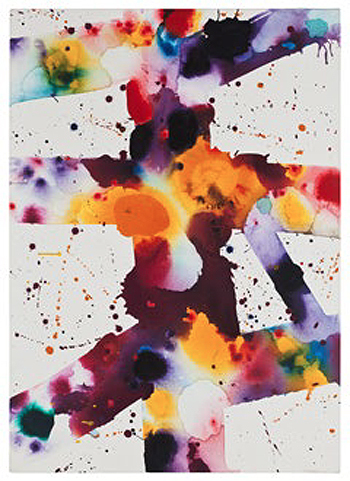 Not-to-be-missed, the show, "Sam Francis: Five Decades of Abstract Expressionism from California Collections", includes work from the 1940s through 1990s, including paintings and works on paper made in the artist's studios in Palo Alto, Point Reyes, Santa Monica, and Venice, California, as well as in New York City and abroad in Switzerland and Japan: mandalas, late self-portraits, and work from the Cellular, Blue Balls, and Edge series. Some of the paintings are as small as three inches by two inches; some are monumental murals more than 10 feet long. 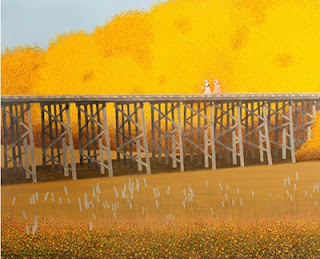 Many paintings in the show, which was organized in collaboration with the Crocker Art Museum in Sacramento (the show will travel there January 26, 2014), are on public view for the first time. ✭ The Massachusetts Museum of Contemporary Art (MASS MoCA), in North Adams, is presenting work by Paris-based sculptor Guillaume Leblon through April 7, 2014. Marking the artist's first solo show in an American museum, "Guillaume Leblon: Under My Shoe" highlights work made in the last 10 years and two projects for the museum. ✭ The triennial Outwin Boochever Portrait Competition, a juried show of 48 works at the National Portrait Gallery, Washington, D.C., includes oil paintings, drawings, and photographs, in addition to portraits in such nontraditional media as rice, thread, glitter, and video. On view through February 23, 2014, the exhibition is accompanied by a fully illustrated catalogue. The competition winner Jessica Wickham, who used an industrial milling machine to create her piece (see the fascinating video), was awarded a commission to create a portrait for the museum's permanent collection. A mobile app for the exhibition is available. ✭ Rhode School of Design Museum, Providence, continues "Locally Made" through November 3. The first large survey of work from the greater Providence area in more than 20 years, the exhibition celebrates local artists, designers, performers, teachers, and curators and features several recent acquisitions. 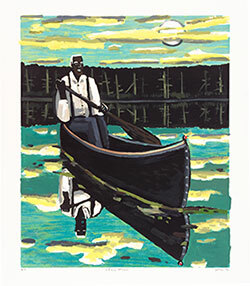 ✭ In Memphis, Tennessee, Memphis Brooks Museum of Art is presenting through September 15 "The Crossroads of Memory: Carroll Cloar and the American South", an exhibition celebrating the centennial of the artist's birth. 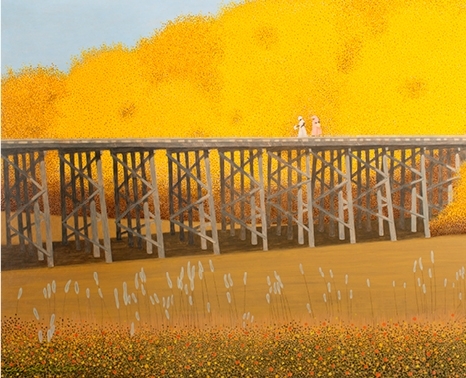 A blend of realism and pointillism, Cloar's lyrical paintings draw from small town life, family stories, childhood memories, rural scenery, and darker aspects of existence in the South of Cloar's early years. Virtually all his works feature people. The approximately 70 works come from public and private collections and represent the full arc of Cloar's career. The exhibition will travel to Georgia Museum of Art, in Athens, in October. Video with Curator, "Carroll Cloar in the Artist's Studio"
Preview Video "Bike to Cloar"